If you own a boiler and wishes to keep it functional for as long as possible, then, you will need boiler servicing at least once every year. Often, homeowners tend to neglect their boilers and only contact the gas company when there is a major gas problem. Keep in mind that having your boiler serviced by a professional regularly minimizes the instances of boiler breakdowns. In fact, when maintained well, a boiler should serve your home for at least ten to fifteen years. During the servicing process, our engineer won’t fiddle with your boiler for only five minutes. In fact, our engineers take the time to inspect each boiler component, analyse its functionality, and find it if any repair or replacement is required. Such close examination is important when it comes to determining whether your boiler is running efficiently or not. In case the engineer finds a faulty component, he will repair it or suggest a replacement. These are the main reasons regular boiler servicing is important. 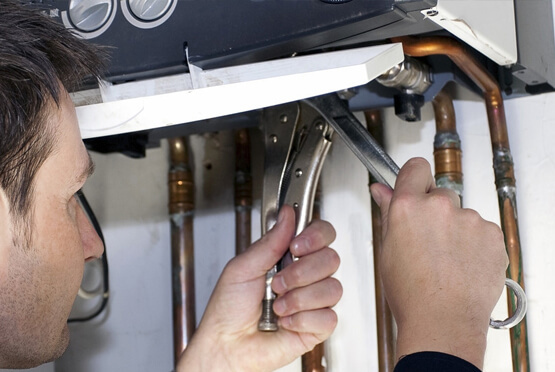 Identifying and fixing boiler issues as early as possible ensures that your boiler doesn’t suffer any serious issues. Thus, you and your loved ones can be assured of an uninterrupted supply of hot water and that your home will stay warm. Besides, an efficient boiler reduces the energy expenses, allowing you to save a few bucks each month. In addition to allowing you stay in a warm home and lowering your energy bills, an efficient boiler can save you from a lot of troubles. First, poorly maintained boilers have a tendency of producing carbon monoxide gas. This is a tasteless gas with no smell, and that means you can’t detect it easily. Keep in mind that when inhaled in large quantities, carbon monoxide can result in poisoning that can claim lives. In fact, when exposed to this gas at night, there are higher chances of death. According to studies done, at least 50 people lose their lives in the United Kingdom due to carbon monoxide poisoning. Additionally, more than 200 people also get hospitalised due to carbon monoxide poisoning. Fortunately, Eco Efficient can help you prevent such instances. All you need to do is to allow us service your boiler regularly and contact us immediately each time you realize that your boiler has an issue. At Eco Efficient, we have all the required resources to deliver top quality boiler servicing in Blackpool. First, we have highly trained team of engineers who are always ready to help you. Whether you require us to install a new boiler for you, replace an old one or even repair your boiler or central heating system, our engineers will ensure that the task is completed in time. We also use a robust technology as well as excellent tools and equipment in our service delivery. That’s why our services are always excellent.